After twenty years of marriage, my husband and I finally did it – we took our first vacation – just the two of us, without any other agenda, event to attend or person in tow. 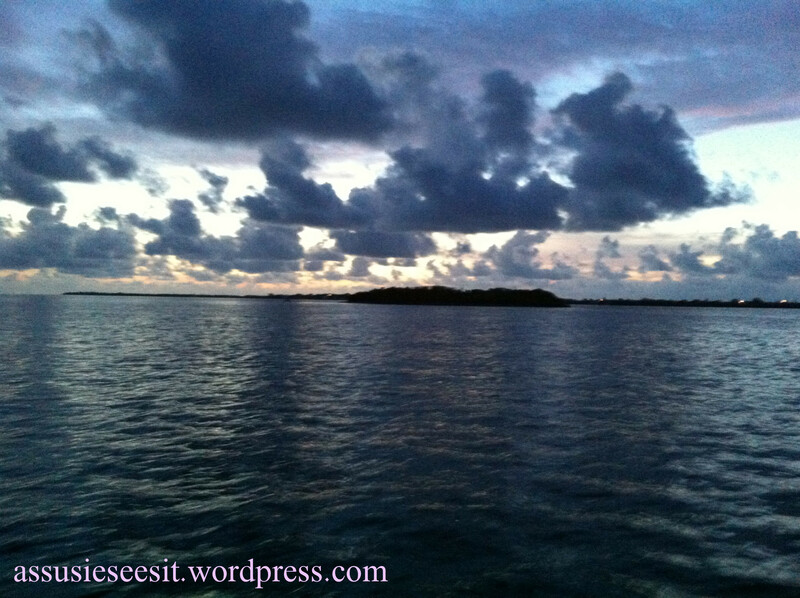 We choose to go somewhere we have never been and have wanted to check out – the Florida Keys. Marathon, to be exact, a few miles past Vaca Key, and before the 7-mile bridge. The exact location was solely based on finding a place that would accommodate our large dog, and we were happy with the outcome. 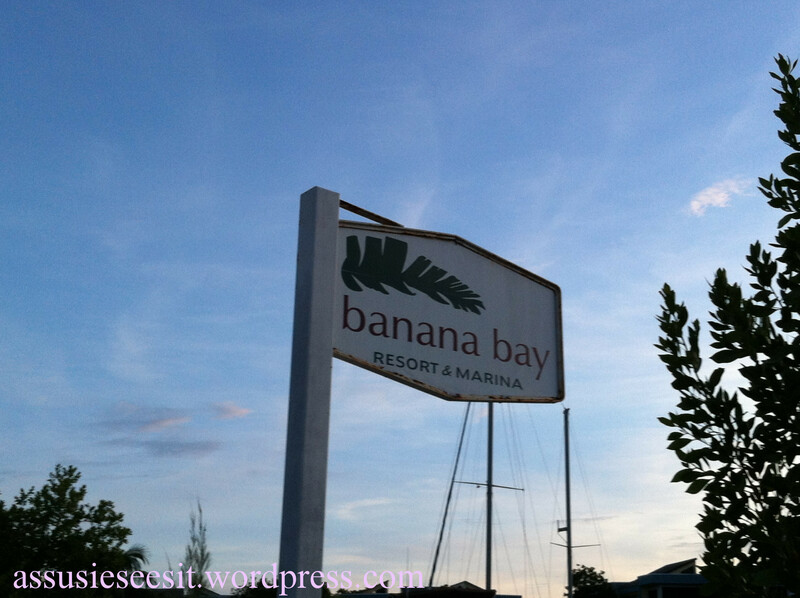 The Banana Bay Resort & Marina came up in my search on the internet for pet-friendly lodging and looked like the best deal. After booking a room for 2 adults and 1 canine and a marina slip for our new boat, we read some unflattering reviews of the place but figured, what do you expect for under a hundred bucks a night in the Keys? And besides, we weren’t planning on spending a whole lot of time in our room. 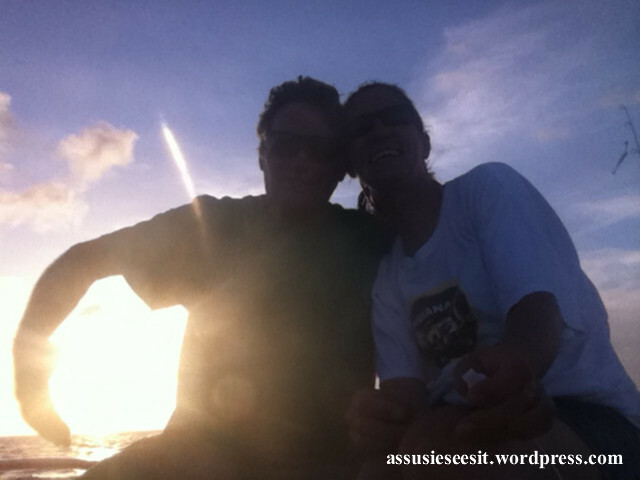 What we did plan on doing was exactly what we did, and it included being out on the boat from dawn to dusk. A few nights we were out after dusk and one morning before dawn. It was the best week ever. And I have some funny (and not so funny) stories to tell you! In a nutshell… the first night of our 7-night stay, we tried our hand at “bully-netting” for lobster. We also tried our hand at snorkeling for them during the day using a tickle stick and net. We purchased a navigational chart and made our way to numerous sites while I learned how to read the darn thing. We cruised around in the boat for miles and miles. There were times I was fearful and Dave would remind me of the safety of this boat. Mostly though, our boating consisted of drifting and fishing. There’s lots of other stuff to write about, like going to Key West or losing our dive flag, but there’s absolutely no question about it, our last day there definitely tops the vacation story chart.